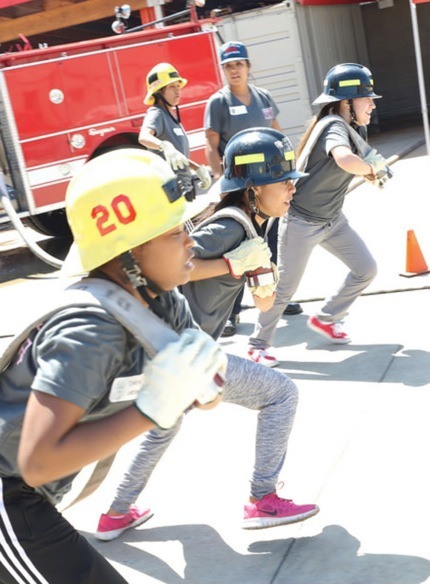 At the first Los Angeles Fire Department Girls Camp in August, young women ages 14 to 18 learned about the skills needed to pursue careers as firefighters and emergency medical technicians. The girls worked with authentic safety gear, climbed ladders, carried hose lines and learned hands-only CPR. LAFD recruiters say they hope to eventually double the current number of female firefighters in the department. Girls and boys are invited to learn about becoming LAFD Cadets by clicking here.